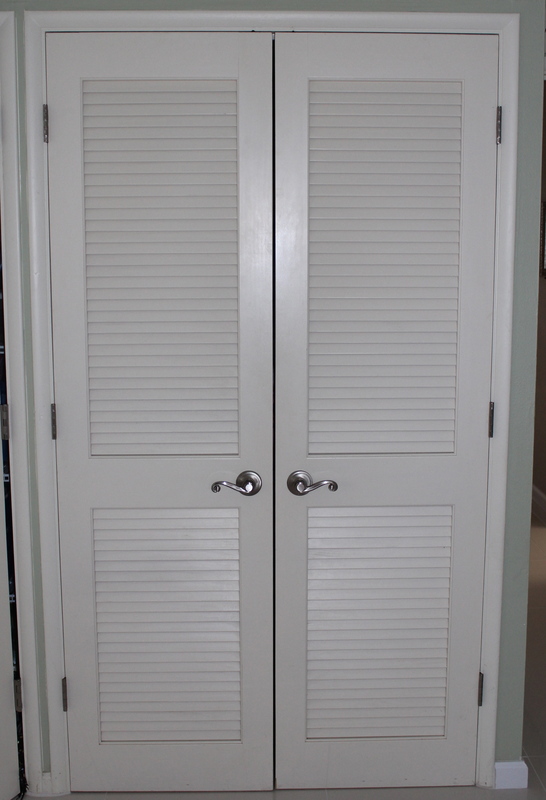 How many of us have traditional “reach-in” style closets with sliding doors? You know, the ones that allow us to only see half the closet at a time. Or else we have bi-fold doors that seem to pinch our fingers all the time? Well, lucky for me when we bought our home two years ago, it had closets with either NO doors or else ones that were broken. I thought about putting cute curtains up in the frame. It’s a cost-effective idea and all you need to do is buy some inexpensive curtains and a tension rod. This time, we wanted a more permanent door and we loved the ones in the master bedroom so we bought ones just like them. They allow for some air circulation even when closed, which is important in a high-humidity place like Hawai’i. We installed these new doors in the two bedrooms that didn’t have closet doors. I also like them because they do not fold or slide, but swing completely open. It was important for me to see everything in the closet at once. It’s such a time saver and it helps me stay more organized! After a year and a half, though, I knew the that the INSIDE of the closet also needed work. So after saving up and selling some old furniture, I bought closet organizers. Let me tell you they are worth EVERY PENNY! This is in a 9 foot by 10 foot room, which has large windows across one side. There was practically no place for the bed in this room (another post) and definitely no room for all the stuff. So instead of buying a lot of furniture, I invested in the closet system. I hope you think about that too, the next time you want to buy another bookshelf or storage container. Start saving up that money instead for a real closet organizer. You can even build them yourself using pieces from the home improvement store for a lot less. And doesn’t everyone want to buy a home with custom closets? So you’ll get your money back too. If you enjoyed this post and want to see more, subscribe using the link on the right via Email, Facebook, or Twitter. Next post… organizing your toys! 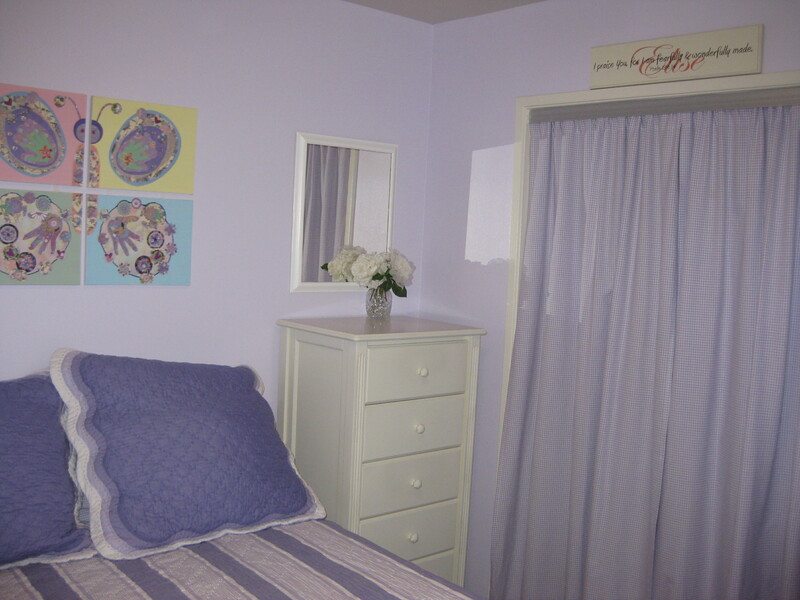 This entry was posted in Bedroom, Before and Afters, Closet, Kids, Kids Rooms, Toys and tagged bedrooms, closet, organization, organize, small rooms by organizedohana. Bookmark the permalink. 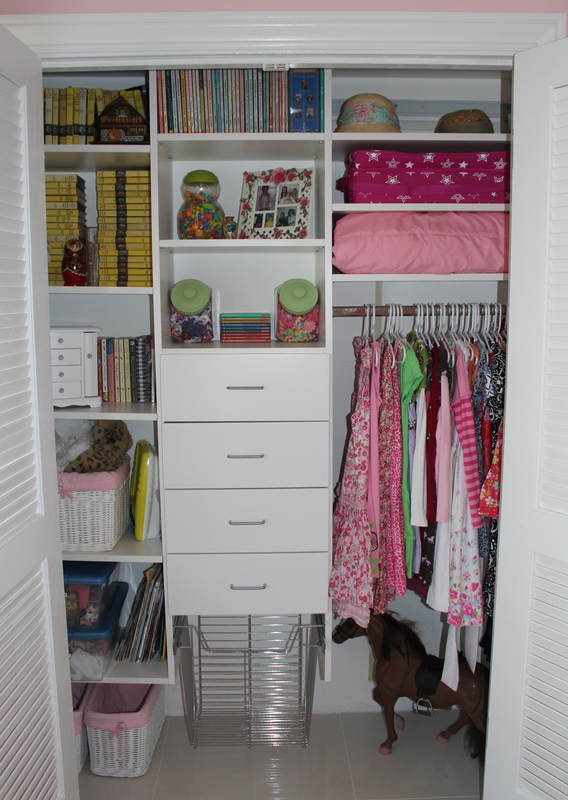 Love the closet! I did something similar but at a very low cost for my 7ft by 12ft master closet addition: I designed my closet by researching standard measurements and recommended layouts on custom closet websites, as well as tallying up the space I needed for shoes, accessories, tops, bottoms, etc. (60% for me and 40% for hubby 🙂 ) With the help of a carpenter I found from Craigslist, we built the closet using furniture grade plywood and wood trim. (I varished the wood before he installed the shelves.) A key cost saver is to have Home Depot cut the 4ft by 8ft sheets of plywood into various shelf lengths and widths which they do for free here in Honolulu. Made it much easier to transport in my mini-suv. I also designed a table of sorts and used stair newels (sp?) as legs. I think the material cost me less than $250 and paid labor was about $450. I knew when I met you that you were even more of an overachiever than I am! I will have to take some DIY lessons from you! Sounds great!